Have you attempted to make improvements to your existing product or products with technical alterations? It isn’t just making something new that R&D tax is designed for – making things better is another element of a successful claim. 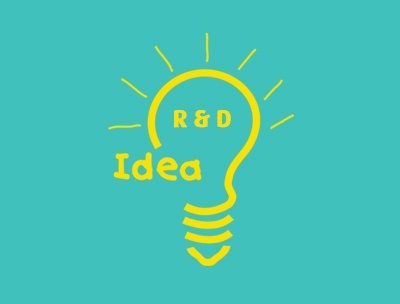 People think that R&D tax is just about developing a brand-new product. Improving what you already offer is often the cause of R&D claims for our clients. Have there been any technical problems with your products that you have needed to resolve? Resolving issues, such as dealing with new legislation are also part of a successful R&D tax claim. If you have needed to sort these out, then you will probably have a valid claim. Have you developed a more efficient way to deliver what you do? Products and services can be delivered to customers in a more efficient way through technical or technological solutions. If you have been through this in the last three years or so, then this is likely to be eligible for a claim. Have you tested new ways of working, new equipment or new techniques in production? Again, this is an integral part of any R&D tax claim. Trying to get better at what you do is a vital part of research and development. If you are performing this, then you can be primed for a claim. When starting a new project, did you think, ‘I really don’t know how this will turn out?’ If so, then the large element of risk involved is a sure sign that your project is one that is eligible for an R&D claim. We all try new things from time to time with our business. If this has been part of what you do, then you will most probably have an R&D claim waiting to be processed. Have any of your projects failed? Has this been for technical reasons? If you try something and it just doesn’t work out, then this is not a reason for an R&D claim to be invalid. Not everything you try will be a success – not first time, anyway. So, the projects that didn’t make it can become a part of any successful R&D tax claim, if presented in the right way. R&D tax claims are being processed all the time. The government has set aside billions of pounds to reimburse businesses that have taken a commercial risk. If you have answered ‘yes,’ to any of the questions above, then we need to speak to you as a matter of urgency.